Normally I steer clear of writing about things that aren't related to documentation or agile methodologies. The one exception to that so far has been the death of Leonard Nimoy, as Spock was such an inspiration to me (and many, many others). 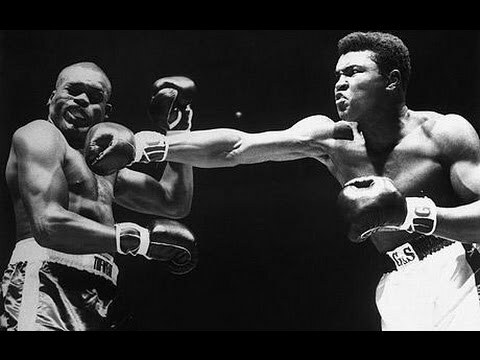 However.....how can I not comment on the passing of The Greatest, Muhammad Ali? It's been a bad year for deaths amongst famous people you've never met but feel like you've spent your life with. But, without denigrating any of these people and what they meant to their fans, none of them were Muhammad Ali. None of them were even in the same ballpark. There are people all over the world who had never heard of David Bowie or Prince or Alan Rickman, at least until they died and social media went nuts. But Ali? Everyone knew who Ali was. Everyone. He was famous and revered around the world on a level that perhaps only Usain Bolt can approach amongst the modern generation. But fame tells only a tiny fraction of how big Ali was. He was more than famous, he was in the truest sense of the word, legendary. Not that he was from a long time ago and possibly mythical, but that he was a touchstone for courage, bravery, power, heroism. He used his physical skills and his charisma to stand up for equal rights and against a war he believed America had no business being involved in, and paid the price. People believed in him. 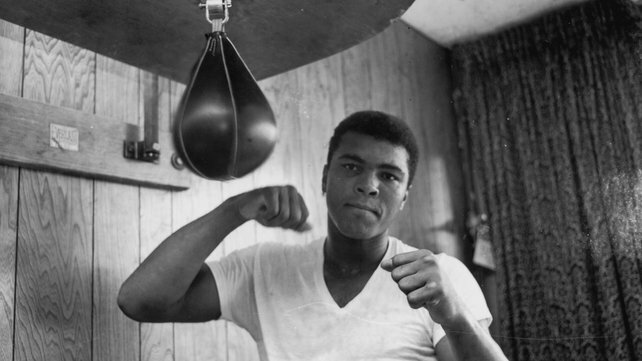 There's no doubt that Ali had his faults. His merciless taunting of Joe Frazier left his opponent bitter and angry for the rest of his life and there have been many, many allegations of marital infidelity. This is not a revisionist hagiography. Ali was no saint. And yet there is something so captivating, so thrilling, so visceral about his performances in the 60's and 70's, whether it was in or out of the ring. Inside the roped arena he could be spell-binding, one moment gliding just out of reach like a Shaolin monk, all grace and speed, the next moment thundering an anvil right into his opponent like an angry diesel engine, all power and venom. He wasn't the single greatest boxer that ever lived and he wasn't the single greatest fighter. But his combination of a cruiserweight's speed and a heavyweight's power, together with a virtuoso's self-belief and a granite chin, made him in his prime an untouchable force of nature. Outside of the ring his poet's tongue and showman's timing meant audiences were left eating out of his hand. His charisma was luminous, lighting up not only his own physical beauty but everyone and everything around him. Even now you can look at videos of him being interviewed from 40 or 50 years ago and you can see the electricity coursing through him and into everyone around him. The difference between him and almost anyone else you've ever seen is so huge it's sometimes hard to comprehend that he was just a man. Perhaps the most appropriate comparison would be Nelson Mandela, both as the only person who could justifiably claim to have the same level of global fame and respect as Ali, but also as someone who's past was by no means uncontroversial. Both men approached their dotage without losing any capacity to inspire, Mandela with his call for all men to put aside their past hatred and live as brothers, Ali with his dignified and typically powerful refusal to be destroyed by Parkinson's. Both left this world to a global fanfare of mourning and sadness, the like of which we may not see again, certainly in my lifetime. That's what truly sad about this passing, the sense that the last of the great men has finally been laid to rest. him down to rate him as a boxer. He only did boxing to run his mouth. Whatever message he was destined to get across, he used boxing to do it. few knockouts, but that doesn’t put him in boxing. Forget about boxing, he’s been a gift to the world." 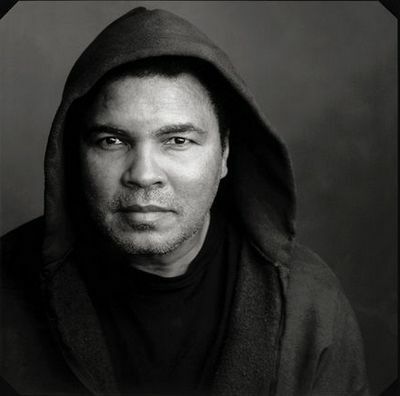 Muhammad Ali, boxer, poet, fighter, hero, January 17, 1942 – June 3, 2016.